Disney Animation is gearing up for their latest project, Zootopia, and has just revealed Ginnifer Goodwin (ABC’s Once Upon A Time) and Jason Bateman (This Is Where I Leave You) as the lead voices for the film. 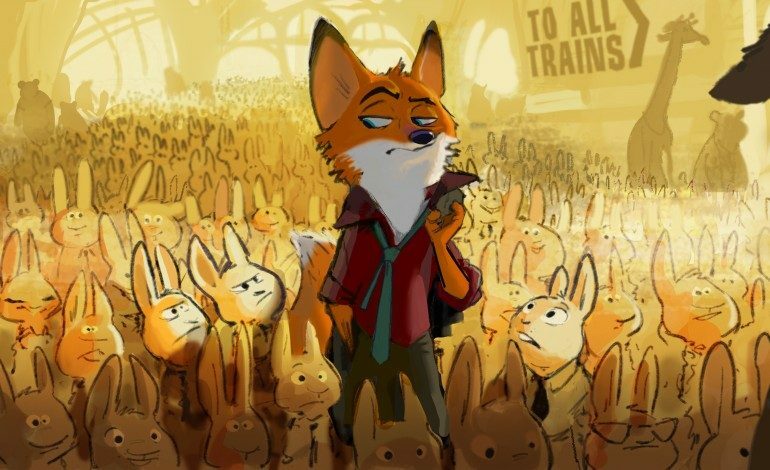 Zootopia is a city made up of multiple neighborhoods that sport different environmental habitats. Officer Judy Hopps (Goodwin) has just joined the police force but feels a bit out-manned against the larger animals, as she is the first bunny to be an officer. When her first case comes she is determined to solve it, though it means teaming up with scam-artist fox Nick Wilde (Bateman) to solve the mystery. Bateman is known for his comedic roles in Arrested Development and the Horrible Bosses franchise, which will probably influence his role as Nick Wilde, who is described as a “cynical con-artist.” This won’t be his first time doing animation either, as in 2006 Bateman voiced Darkos in Arthur and the Invisibles. Goodwin, on the other hand, has done multiple animation projects, including SpongeBob SquarePants and Robot Chicken on the small screen, though this will be her first time as the voice for a lead character in an animated film. Goodwin has had a diverse career with her most well known role being Snow White on ABC’s Once Upon A Time. As a princess who can take care of herself, Goodwin plays a tough Snow White, which should lend itself well to creating a voice for Officer Judy Hopps. Director Byron Howard is no newcomer to animation either. While working in Disney’s animation department, Howard was the supervising animator on Cobra Bubbles from Lilo & Stich (2002), as well as Kenai from Brother Bear (2003). Since then, Howard has gone on to direct Tangled (2010) and Bolt (2008). Howard clearly knows the world of animation, so plenty of experience will be going into Zootopia. Zootopia is set to hit theaters March 4, 2016.